Next review Invent Help - Huge Ripoff from InventHelp! Dec 04, 2018 Nearly 3 years ago, this respondent contracted with our company for assistance in submitting his invention to industry in an attempt to obtain a good faith review. We also referred the respondent to an independent patent attorney for the preparation and prosecution of a design patent on his idea. As a result of that patent referral, the respondent was granted a utility patent for his invention. With regard to our submission services, our records indicate that his services were performed in accordance with his contract, in their entirety and in a timely manner. There are some inaccuracies in this complaint. With regard to the respondent’s comment regarding a DVD of his product, we confirmed with him that he did not contract nor did he pay for that service. The complainant’s statements regarding the companies in our InventHelp® Data Bank to which we submitted his invention are inaccurate. Our Data Bank consists of companies that have agreed to review InventHelp inventions in confidence and they tell us what types of product ideas they wish to review. We also explained in detail how we individually selected each company to which we submitted his invention. We also investigated these specific companies and believed all were suitable and appropriate choices for the complainant’s invention. 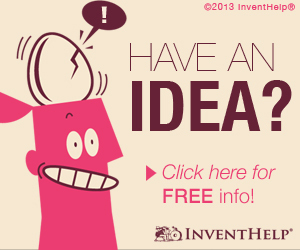 InventHelp has been in business for over 35 years. We have a superior record of performance and integrity in a very difficult industry. We do what we promise, and we back it up in writing. While we believe InventHelp® has executed more licensing agreements than any other competing invention submission company, success is not typical. For most inventors, success is the exception, and not the rule. We would like nothing more than for all of our inventors to have success, but unfortunately, that is not a reality. 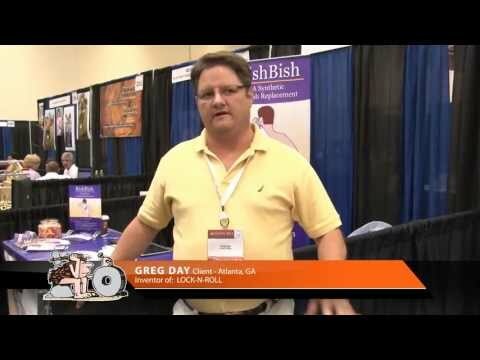 We are extremely proud that we go to great lengths to make inventors aware, both verbally and in writing, of the difficulty in bringing a new product to market. However, despite our efforts to inform inventors of this difficulty, some inventors become upset with InventHelp if their inventions do not become commercially successful. While we do not believe this to be a valid complaint, we nevertheless reached out to the respondent and amicably resolved his concerns. We are pleased that the respondent updated his post and rating regarding our company as we have done nothing wrong. Thank you for bringing this matter to our attention. Invent Help and I have come to an acceptable agreement. Both parties are walking away on good terms. In November of 2015 we paid $845 for a patent search. By January 2018 we had the results in a very nice book that showed other similar ideas, but that were not like ours. In February 2018 we signed a two year contract with Annette Van Zag. She was very excited about our idea. She explained how the process worked. We paid $11K for their so called services. We started the patent process and was awarded the status of patent pending. Invent Help's design team came up with the brochure for our product. The next phase was for an attorney to start working on our patent. Meanwhile, Invent Help goes to "work" marketing our idea for us. We receive an exciting letter with a list attached of the first 25 companies that our idea was promoted to. We excitedly opened and reviewed the list. NONE of the companies on the list had anything to do with our idea. They sent us the wrong list! (It had another hopeful inventor's code number at the top) We called to let them know they sent us someone else's list and asked for them to send the correct list several times. We never received the original list. Nor did we receive the promised DVD of our product. Every few months we would receive another list (all were correct). In October of 2017 we were awarded our patent! A very exciting day. November 2018 as we are reviewing our lists of companies from Invent Help's data bank we are discovering that 90% are not even affiliated with our idea, 5% are closed or bankrupt. The remaining 5% were companies that had to do with our idea. Now since we are out of contract we found LAMBERT AND LAMBERT on the internet. For $200 they will look over your idea and you receive a professional evaluation of your idea within 6 weeks. And they do. Don't give up on your idea. Check out Lambert and Lambert. Do your research. There are a lot of other companies out there. STAY AWAY FROM INVENT HELP!!!!!!!!!!!!!!!!!!!!!!!!!!!! In my opinion the good reviews on Invent Help come from their own employees. Review #1403982 is a subjective opinion of AthleticBee822.